Suitable for all ages, although the shows and playground are aimed at 3 - 12 year old. Whoa! Studios is all about fun, live performances. The resident puppet show is based on ‘Custards World’, a movie in production, written by Bob Baker who wrote the scripts for Wallace and Grommet. These live performances are aimed at 3-12 year olds although younger and older members can still enjoy them. Also on the grounds is a restaurant and playground that both come recommended (if you don’t go to a show, there’s a daytime charge for playground use but it’s free in the evenings). The restaurant is all about sharing plates that the whole family might want to tuck into but there’s also a kids’ menu offering healthy versions of popular kids’ meals. Check out the menu here. 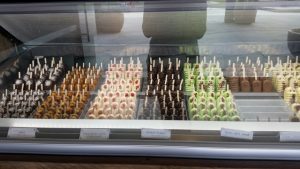 For a sweet option there are 2 sizes (mini & adult) of gourmet flavoured ice creams on sticks which are a winner with people of all ages! The playground (which is lit up at night so a great space for kids if you’re eating in the restaurant) caters well for all ages from preschoolers to teenagers. 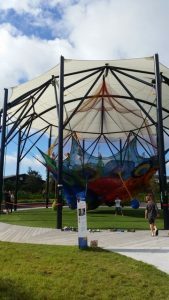 The equipment isn’t like you’d find in a regular playground – most of it has been created by theatre set designers and the crochet play net was created by the Japanese artist Toshiko Horiuchi Macadam. 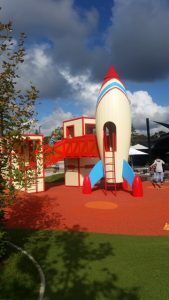 The play net is for climbing, sliding and swinging on, whereas the rocket ship and castle (part of the adventure playground) might lead to incredible imaginative play. There’s also plenty of space for running around and burning off some energy. There is some shade over parts of the playground. There’s a large parents’ room at the back of the restaurant with change table and plenty of space for a buggy. 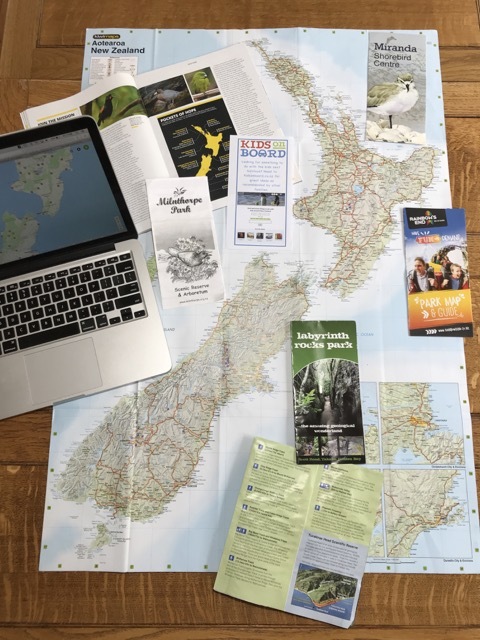 Address: 8 Henderson Valley Road, Henderson, Auckland. Some limited car parking onsite. The studio is about a 3 minute walk from Henderson Train Station. Open: Term time 9am – 4pm Wednesday, Thursday, Friday, Saturday, Sunday and daily during the school holidays. The Urban Park (playground) is unsupervised midweek during term time. Show times differ each day and need to be booked in advance. Check here for shows and times. The Toy shop is open Saturday & Sunday 9am – 4pm. Price: Daytime entry to the Urban Park (playground) is free with a show ticket (same day use only) or $10/child with under 3 year olds entering free with a paying older child. Shows can range in price but generally $39.99/person. TOP TIP book shows online and receive a discount making it $25.35/person. Kids aged 3 years and under are FREE but will not get their own seat for a show.